Dr. Lourdes M. Mendez received her Bachelors in Science from Harvard University in Biochemistry. She completed her MD PhD at Albert Einstein College of Medicine, and conducted her graduate work in the laboratory of B. Hilda Ye on the mechanism of BCL6 transcriptional repression in diffuse large B cell lymphoma. She then went on to residency in Internal Medicine at Weill Cornell New York Presbyterian. 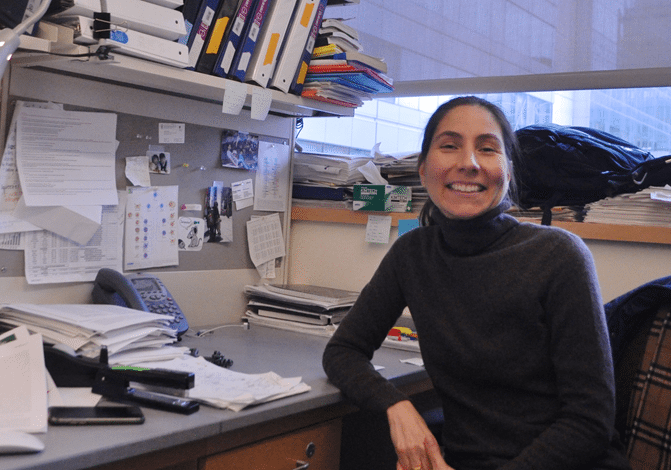 From there, she moved to Beth Israel Deaconess Medical Center for her clinical fellowship in Hematology/Oncology and stayed on as faculty in the division of Hematology/Oncology. She currently attends on the Hematologic Malignancies/Bone Marrow Transplant service.